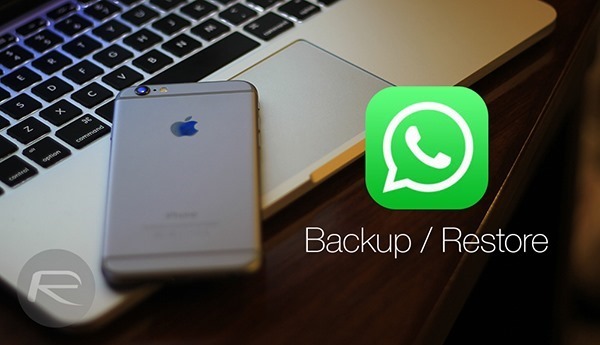 Here’s how to backup and restore on iPhone all of your WhatsApp chat messages and photos using iCloud the easy way. More details and step-by-step guide can be found right past the jump. WhatsApp has come a long way on the ‘backup’ front, where earlier versions of the app had users manually copying folders to a computer or the cloud. However, this was a long time back, and now users can not just back up their conversations right from the app itself, but also do the same automatically using a set period of time, making sure that even if users reset their phone without creating a backup, the slight overlooking would not hurt them. Step 1: To begin, launch WhatsApp on your iPhone and tap on the Settings tab at the bottom. 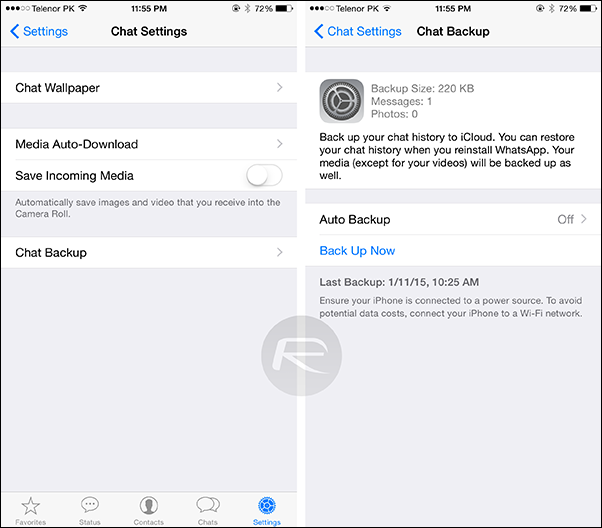 Step 2: Navigate to Chat Settings > Chat Backup and hit the ‘Back Up Now’ button to immediately back up your chat messages and photos. This is where you can turn on / off Auto Backup as well and define the schedule in which the process would happen. 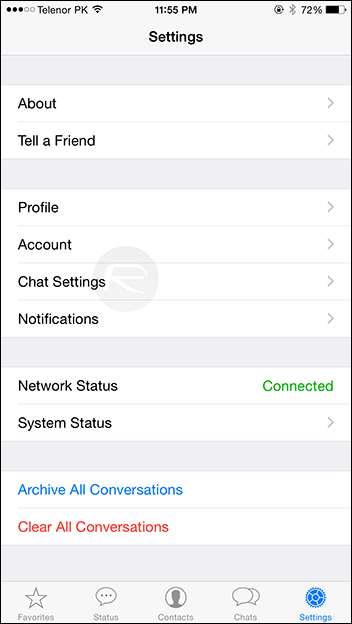 Doing so, WhatsApp will back up all your chat messages, including all media shared to your iCloud account. Sadly, videos sent or received over WhatsApp will not be backed up in the process. Step 1: Make sure you have signed into your iPhone using the same Apple ID which was used to take the WhatsApp chat backup, otherwise restoring will be a lost cause. Step 2: Install the WhatsApp app on your iPhone and launch it. Step 3: Sign into the app using the same phone number you were using earlier. Step 4: Once you sign in, WhatsApp will ask you to restore your chats backup from iCloud, which is why the same Apple ID was fretted upon. As we mentioned, videos will not be backed up, therefore it’s advised that you regularly save your previous videos to your device’s Camera Roll and sync them with iTunes. Alternatively, you can simply upload your videos to cloud services like Dropbox or OneDrive from time to time. This will automatically add all the best Cydia Sources and give you access to all the best Cydia Tweaks, Themes and Apps for FREE with just a push of a button. Follow the steps below. 7. Install the package labelled “All Sources”. This will give you all the best Cydia Sources to have access to all the best Tweaks, Apps and Themes for FREE. Stick to Viber. It is much better and also it is included video chat with awesome video quality like facetime than skype and oovoo. Sorry about my English. Nice option! And if you delete the chat history without backup, You can use kind of FonePaw iPhone Data Recover and Wondershare which are popular data recovery software. You can recover deleted WhatsApp messages/images from your iPhone/iPad.